We were only days away from reaching our three year mark before it all came to an end. Secretly, I hoped that my absence from her life would have been enough to prompt a change, but it never did. As I replay one of our last conversations, I expressed my need to talk to her in person about something seriously important. Repeatedly, I asked her for a day and time that she would be available to talk, but that day would never arrive. It was then that I made up my mind. Until my request to talk was taken seriously, I was not going to reach back out or ask again. If it was important her, she would have called. Unfortunately or fortunately, she didn't. As I write those words, I knew in that moment that I had to be willing to walk away from a relationship that was no longer serving its purpose. Did I love her? Absolutely. However, I also love me. Without going into the details, I spent a great deal of time pondering over the life of our relationship. Where did it go wrong? At what point did it transition from a passionate and fulfilling match to the painful and hurtful end I know it to be today? What role did I play in all of this? In hindsight, I am painfully aware of some damaging incidents that contributed to its final demise. While I could easily attempt to point every finger at her, I know that I am not completely blameless in this ordeal. Maybe if I had handled certain situations differently, things would have been different. Unfortunately, going back in time isn't one of the options available to me. Instead, all I can do is learn from my mistakes and avoid repeating them in the future. One of the lessons that immediately made itself known to me was my failure to "be the man." While it didn't happen overnight, it was during the course of our nearly 3-year relationship that I slowly gave up my masculinity in exchange for something more feminine. In my defense, I thought that I was doing the right thing by trying to be nice, flexible, caring, and accommodating. Unfortunately, the price that I paid led me into a weak and powerless position. Instead of owning the situation, setting boundaries, and ultimately enforcing those limitations and expectations, I gave in and lost my own self-worth. Slowly, I gave up the very things that made me who I was and defined my valuable contributions to the world. I was becoming less of me and more of something else. I didn't like it. Instead of feeling confident, secure, loving, and free, I ended up feeling every ounce of fear. 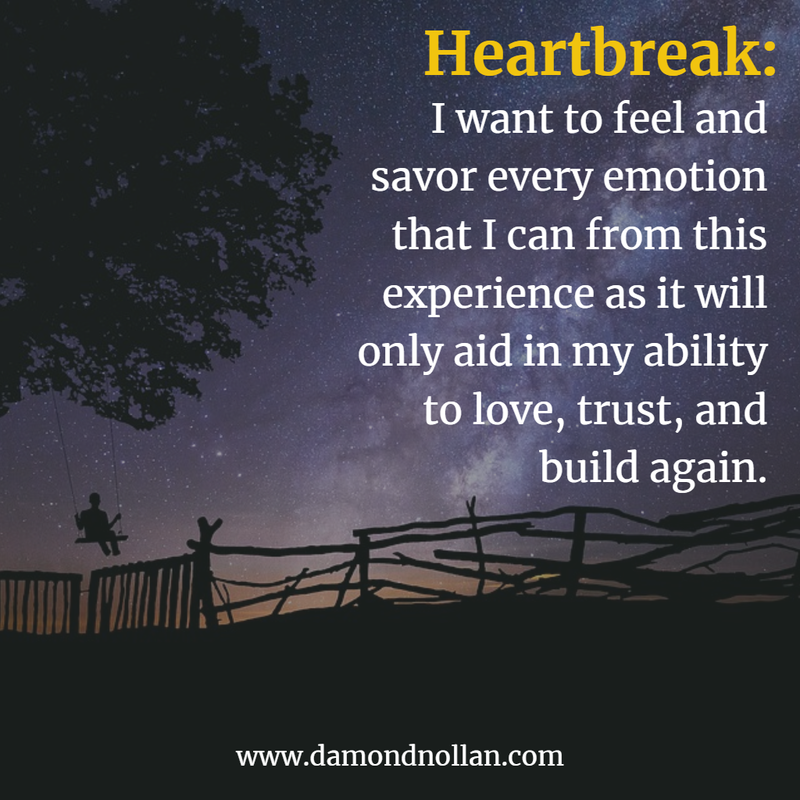 I was afraid of losing her, losing the relationship, losing the "security blanket" that I had grown accustomed to over the years. I don't want to be alone! I said to myself. 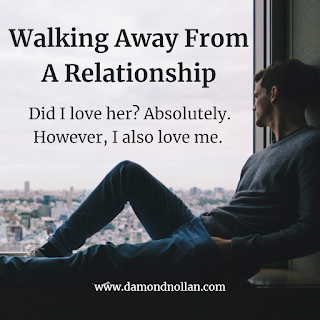 In turn, as I slowly gave up my role and purpose in the relationship, I eventually lost her respect, her trust, her attraction, and ultimately her love. It didn't happen overnight, but eventually, it gave way to the harsh reality that I experienced throughout the latter part of our time together. Being the man doesn't require one to be mean, disrespectful, calculating, or even ice cold. What it does entail is the proper ownership of and alignment with oneself. What did I believe? What did I want? What was my truth? Being the man means knowing these things for self and standing firm despite the opinions of others. If my truth, belief, or needs do not mesh with someone else, then I have to be willing to walk away in order to protect that alignment with the inner man. Where I messed up most egregiously is in giving up that man to appease her. That's weak, destructive, and it's no wonder that I lost her respect. In the end, I have to be the man that I was created to be regardless of how other people see me. That's my truth. While it's easy to walk around feeling powerless, I have come to learn that I have control over me, my reactions, my decisions, my thoughts, and my behavior. 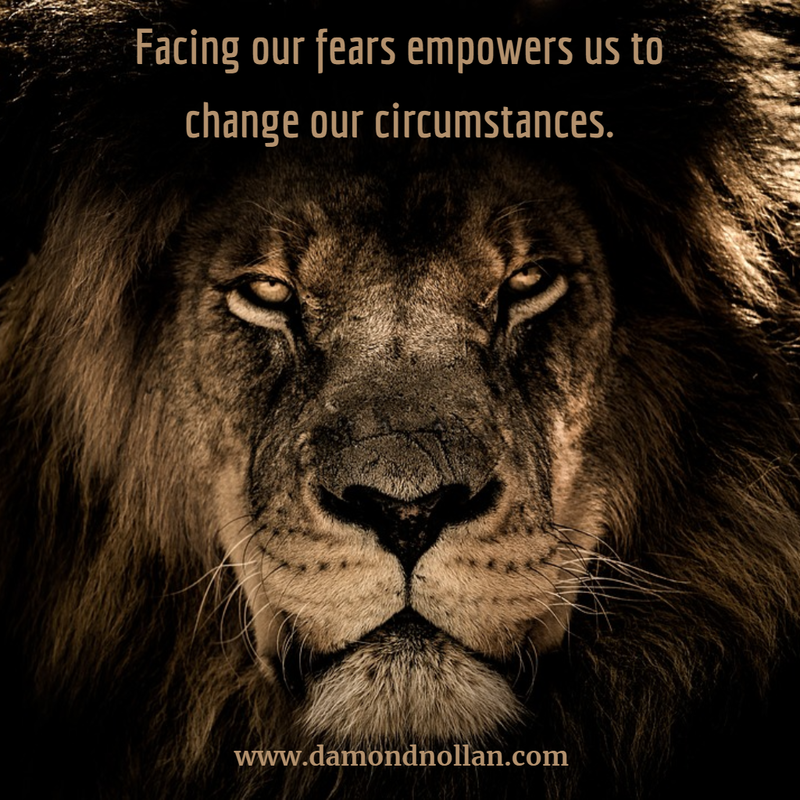 No, it's never easy doing the very thing that we fear (losing love, losing affection, losing respect, and being alone), but it is in the facing of that fear that actually empowers us to change our circumstances. Maybe, and this is a big maybe, had I stood firm in my alignment with self and taken the appropriate actions early on, things wouldn't have ended the way they did. It's possible that she would never have seen the weak version of me, which could have resulted in our successful and happy dance down a life-long journey of togetherness. 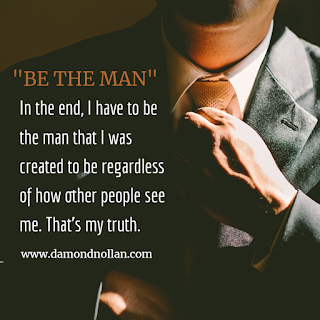 Maybe had I been in my masculine, the relationship would have ended years earlier when we realized that we are too different and nobody was willing to give up themselves or their identity. 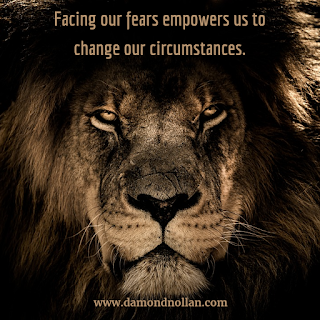 Whatever the outcome, I know today that the power to change my circumstances always rested within me. I just had to face the fear that held me back. 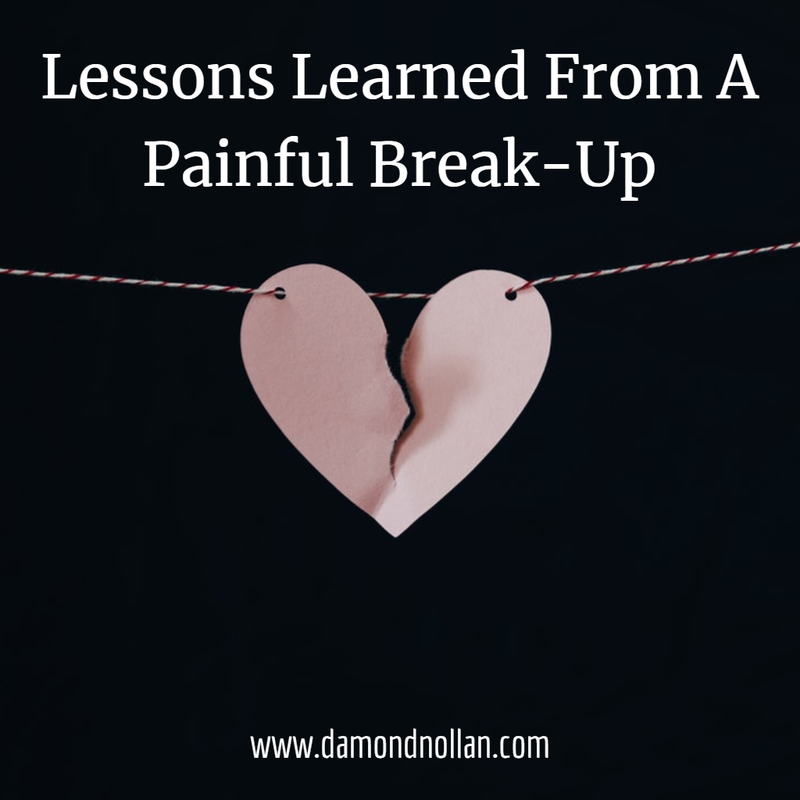 Once I came to the stark realization that our breakup was real, not just some common occurrence of time apart due to anger or stubbornness, the numbing pain of loneliness and grief set in. 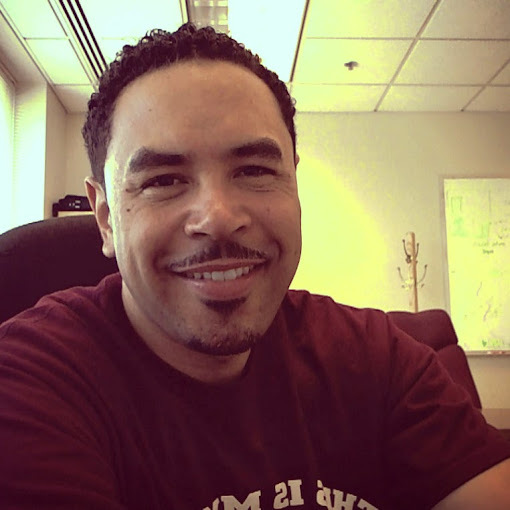 In my heart, I knew that I was doing the right thing by standing up for me, holding firm to my demand for respect, and seeing first hand where my attraction level was with her. Learning the truth through her actions allowed me the strength to press on through the pain because I know that I deserve more than what I was getting. In the days and weeks that followed, I fought my urge to give in. Instead, I found ways to stay busy. 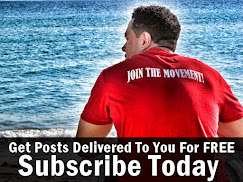 I wrote blog articles, hit the gym, talked to friends, and focused intently on my purpose. Getting back to the man I once was required substantial amounts of self-reflection and reassurance that I'm doing the right thing. As a result of it all, I feel awkward, wobbly, numb, and still a bit lonely. Despite the friends I have around me, the emptiness associated with a break-up doesn't go away on demand. When things get quiet, as they often do at night, I feel it most intensively. No, I don't miss the negative parts of our relationship, but I do miss the girl. For nearly 3 years, she was the only one I had been with. It was her lips, her hands, her voice, her smell, her laughter, her hair, her eyes, and her essence that I had grown to love. The mere thought of having to replace all that I've come to know and love is difficult. It was during a conversation with a co-worker that I was reminded that my feelings are normal and to be expected. I cannot automatically turn off my feelings for her and replace them with someone else. It's going to take time, patience, and a healthy dose of self-love to take appropriate action when all my heart wants is a resolution. Sometimes, what's best for us doesn't always feel good at the moment. As I bring this article to a close, it is important to remember why I chose to write it in the first place. The intent, more than anything else, is to capture the intricacies of this moment. What does it feel like to transition through a break-up? What lessons can we learn from this time of our lives? Where do we go from here? The second purpose of this article is to help facilitate closure. While I've had some conversation with friends about this situation, I tried my best to ignore it and hope that the feelings will subside on their own. I've come to realize that I have to talk it out. In order to get it out of my system, I have to explore how I feel and come to terms with those internal truths. There may be some who read this and see weakness, but I believe that it is these moments that we grow the most. I am human. I have feelings. Love and break-ups aren't nice and neat ideas that resolve themselves in the span of a thirty-minute sitcom. This is real life. 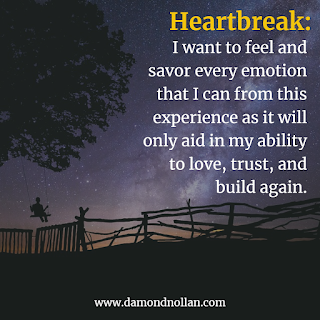 I want to feel and savor every emotion that I can from this experience as it will only aid in my ability to love, trust, and build again.